Senator Yuen Pau Woo hopes other parties will pledge to continue Liberal government's Senate experiment should they come to power. The leader of the Senate’s swelling group of independents is calling on federal parties to take clear positions on Senate reform as they write their 2019 election platforms. 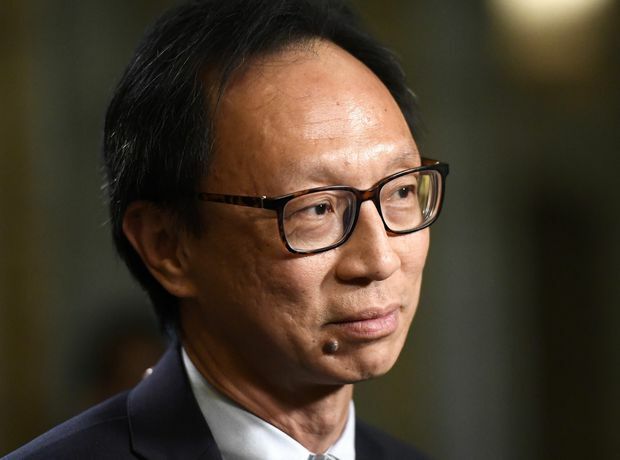 In an interview with The Globe and Mail, Senator Yuen Pau Woo said he views the Liberal government’s Senate experiment as a success and is hoping other parties will pledge to continue the practice should they form government. In just three years, Prime Minister Justin Trudeau has transformed the Senate by appointing 45 senators to the 105-seat chamber, all but two of whom sit as part of the Independent Senators Group (ISG) led by Mr. Woo. The two exceptions are Peter Harder, the government leader in the Senate, and David Richards, who is among the six who describe themselves as non-aligned, meaning they are independent of political parties but not associated with the ISG. Nine other senators appointed by previous prime ministers also sit with the ISG. The remaining chamber is made up of 31 Conservatives and 10 independent Liberals, with four vacancies. Senators are unelected and can sit until age 75. Mr. Trudeau’s first term as Prime Minister happened to coincide with a period in which a large number of senators retired. Mr. Woo estimates that even if a new government were to start appointing senators who are affiliated with the governing party, it could take two or three consecutive terms before independents are outnumbered. The shifting power trend is raising questions as to how much longer the Senate can maintain its traditions based on the concept of an opposition party challenging the government side. “If you start to extrapolate how that goes, I see it perhaps morphing into more of like a think tank. I don’t think you have to use the adversarial system,” said ISG senator Bev Busson, a former RCMP commissioner who was sworn in to the chamber in September. In an interview, Ms. Busson said she has never been political and the ability to sit as an independent influenced her decision to apply. “I think an independent Senate is really what serves Canada the best. At the risk of sounding political, I think the American system of elected senators is an example of how things might not work so well,” she said. Conservative MP Stephanie Kusie, her party’s critic for democratic institutions, said the Conservatives have not settled on a final campaign position when it comes to the Senate. However she said the party would likely favour a return to the Harper government’s practice of appointing senators who were elected in provincially run referendums, where possible, and to otherwise appoint senators who would sit as Conservatives. Ms. Kusie said campaign contribution records of some of Mr. Trudeau’s Senate appointments indicate support for the Liberal Party. The NDP has long supported abolishing the Senate, but the Supreme Court said in 2014 that such a move would require the unanimous consent of the provinces. NDP MP and democratic-reform critic Nathan Cullen said the party continues to support abolishing the Senate, but has not yet decided if its 2019 platform would propose interim measures for dealing with Senate vacancies. “They’ve had a better run of not being in scandal, which is good. That’s a pretty low bar,” he said. Mr. Cullen said he is concerned by the increase in lobbying activity focused on independent senators, and the NDP’s core concerns regarding accountability and the democratic legitimacy of the Senate remains.